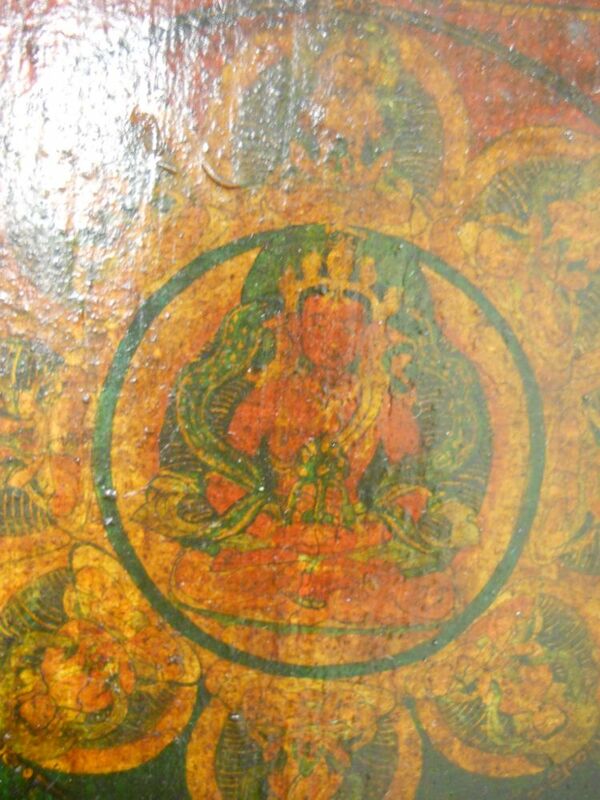 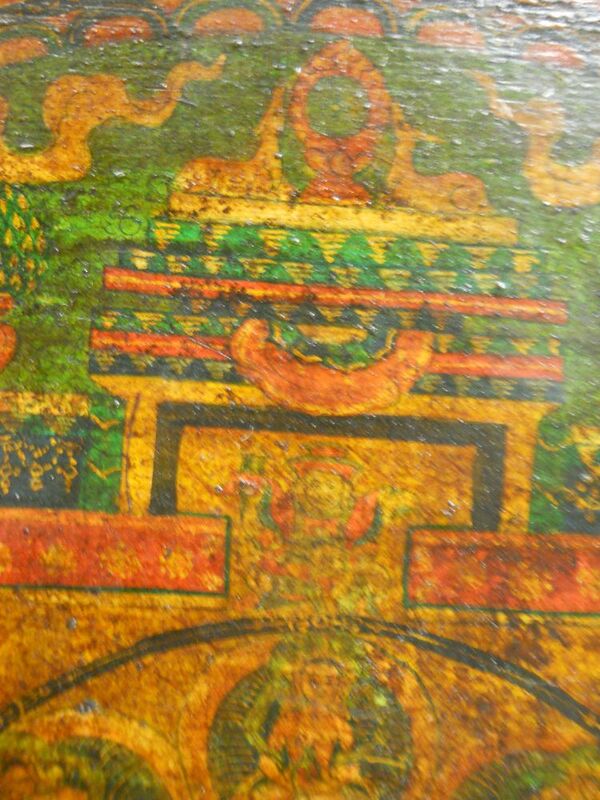 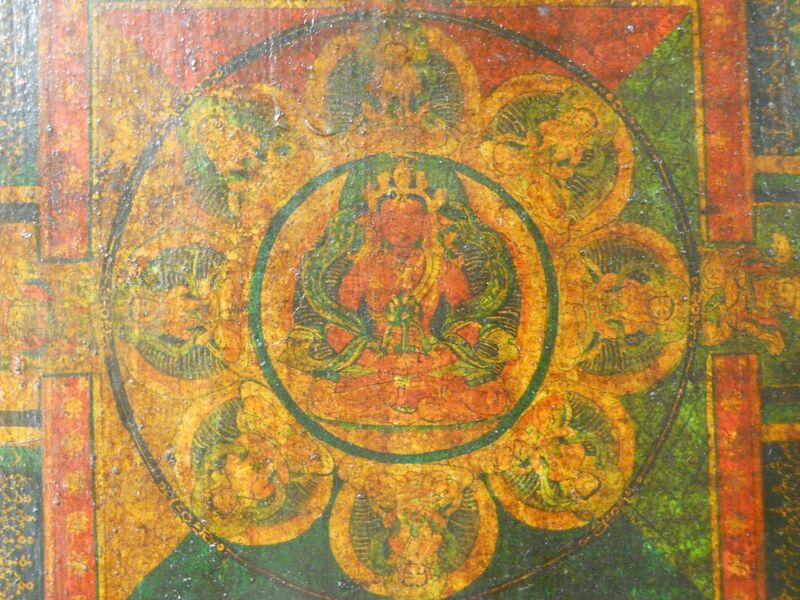 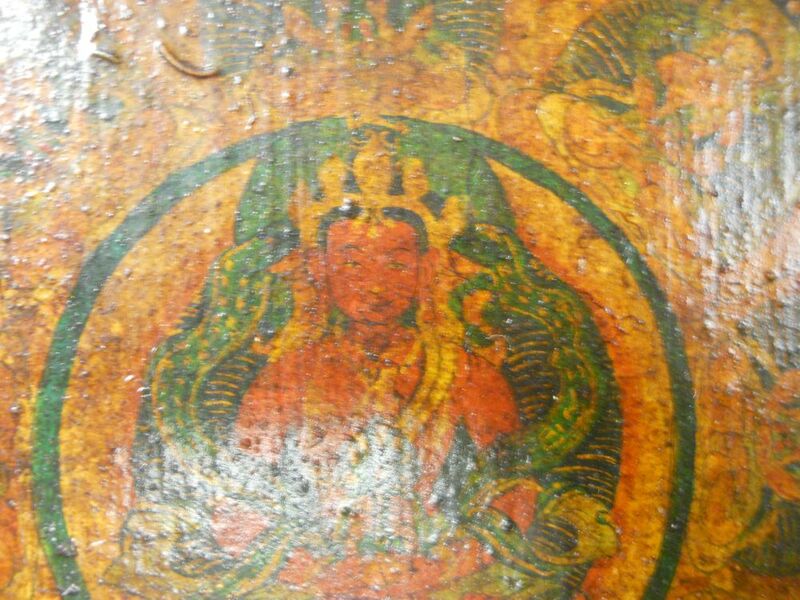 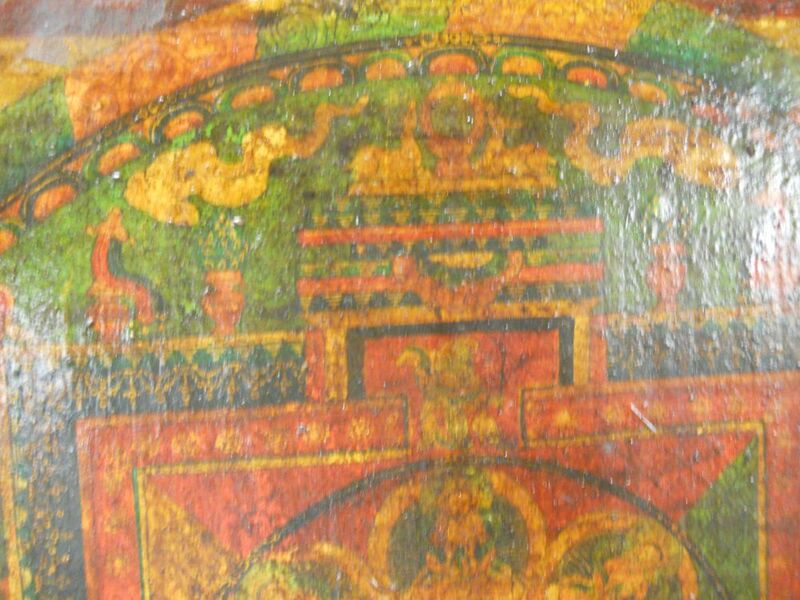 Painted Wood Panel, Tibetan China, near square, possibly from a piece of furniture, depicting a mandala of Amitayus seated in the central roundel surrounded with eight manifestations in a square, two stretcher bars on the underside painted green, ht. 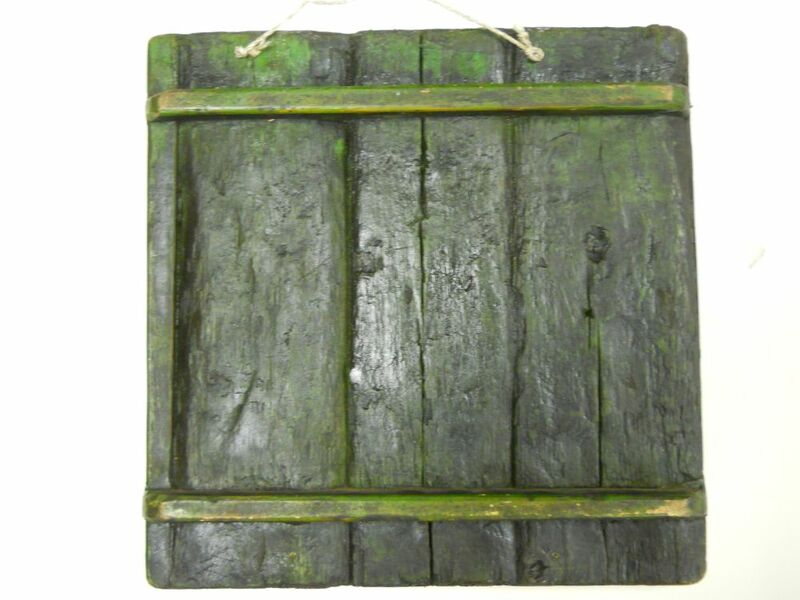 10 1/4 in. 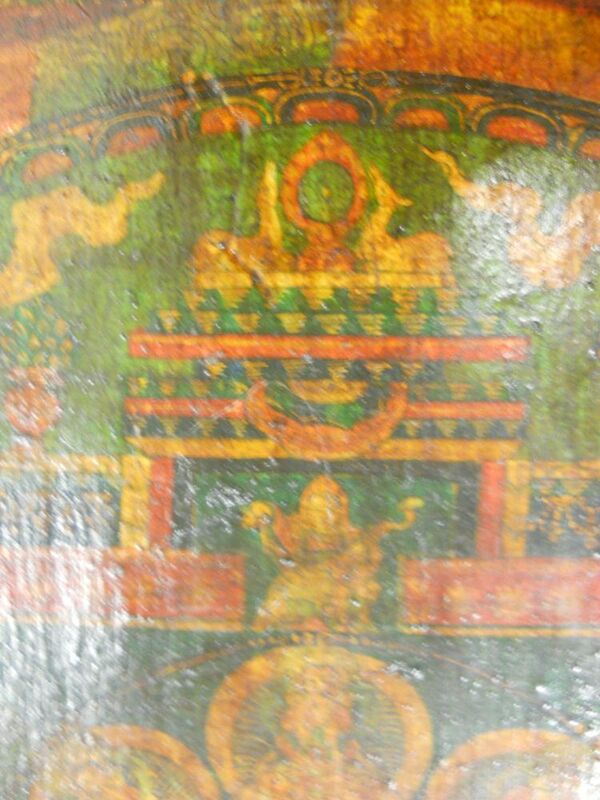 trace of repaints, part of the upper side repaired with a new piece of wood with nails and repainted, loss of painted details.